How does your company address its daily IT challenges? Do you have an in-house person who serves double duty as an IT support technician? Or perhaps there's someone outside of your company you can call when a problem arises. In either case, your IT infrastructure probably isn't getting the attention it needs. Outsourcing to a Managed IT Services provider is how many organizations address their growing IT requirements. The benefits are hard to dispute. Managed IT Services provides your company with experienced IT support whenever you need it. 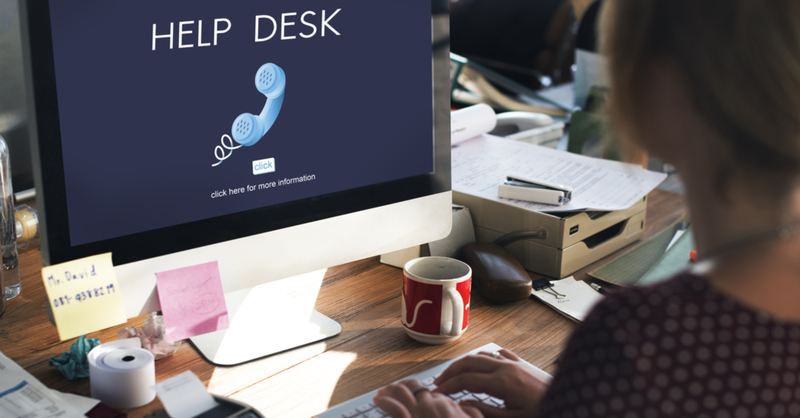 With help desk support, your staff won't be forced to handle issues on their own. With IT experts ready to resolve problems and 24/7 remote monitoring, your team can concentrate on their core responsibilities without interruption. A break-fix approach to your IT infrastructure is problematic on several fronts. Patching issues as a temporary measure just delays the inevitable and could put your entire network at risk. Managed IT Services providers monitor your network, correcting potential problems and addressing threats before they have a chance to interrupt your workflows. Disasters come in many forms, and there's rarely enough time to prepare for their arrival. With a data backup and disaster recovery plan, you'll be protected even if the worst happens. With both local and cloud backup, you'll still have access to your important files following a catastrophe. A well-designed network can make the difference between your company's success or failure. Managed IT Services can provide the expertise you need for a network that meets your IT needs today and as your business grows. Ready to get some expert help with your IT infrastructure? Contact us at MMIT for an assessment today.